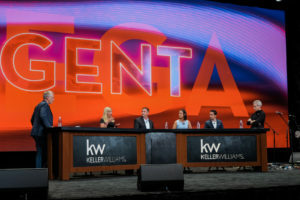 If you have ever been to a Keller Williams event, you know that it is a powerful and non-stop learning experience. The days of Mega Camp consistent of ongoing panels with Gary Keller and successful people in the industry. One of those successful people on a panel was our CEO, Brindley Tucker. Brindley was honored to be part of the panel on Leverage and Hiring. 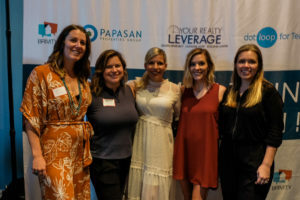 Her experiences in real estate have given her a unique voice for administrators and agents hiring for leverage. In addition to being the CEO of Your Realty Leverage, Brindley is also a MAPS Coach for administrators in real estate. The team couldn’t be more proud of her and the insights that she shared. To watch the live video, click HERE. We thought it would be fun to share the aha’s from the team to show the value that each of us had from going to Mega Camp 2018. Each event and training we attend, we intend to bring back at least three things we are going to implement to make our client experience better. In addition to enjoying the panels and speakers at Mega Camp this year, our team sponsored an event for administrators on Wednesday night. The event was a huge success and a great time was had by all! Did you attend Mega Camp? Leave a comment with your aha’s! "Tell Me about Yourself" Preparing for 2019 - Now!